Irish Farmers Monthly hosted a dairy conference for some of Ireland’s top dairy farmers on Wednesday, 3rd April. Entitled ‘Fine-tuning Irish Dairy: Family, Finances and Farm Management’, the conference took place at the Limerick Strand Hotel. Damien O’Reilly (RTE) facilitated the event, which was sponsored by AXA Ireland and MSD Animal Health. 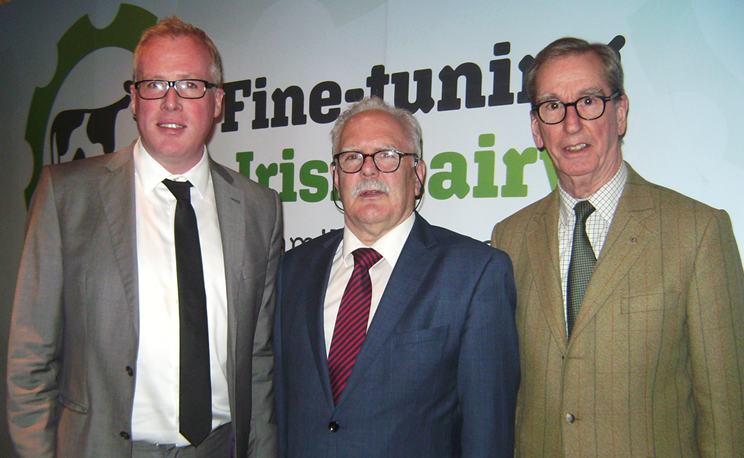 More than 150 farmers and industry leaders gathered at the Strand Hotel and Tom Murphy was invited to attend for PAC Ireland. Tom participated in open discussions on the challenges facing the Irish dairy sector; calling for the greater use of agricultural contractors, especially in whole farm contracting, which may go some way in alleviating the labour shortage on dairy farms.